Goretti winery has been handed down for generations making it a family-owned and -operated producer of top quality, award-winning Umbrian wines. 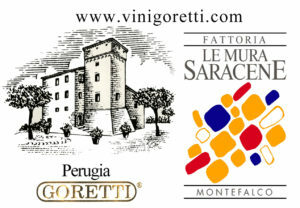 The Goretti vineyards are located in the heart of Italy’s Umbria region, just outside the city of Perugia. This hilly region is known for its rich, flavourful and full-bodied white and red wines. The Goretti family takes great pride in their family’s antique tradition of winemaking, today they also employ sophisticated modern techniques to produce their wines. Their expert winemakers and enologists are involved in every stage of the wine-making process, from grape selection to bottling, all leading to the culmination of a year’s hard work.